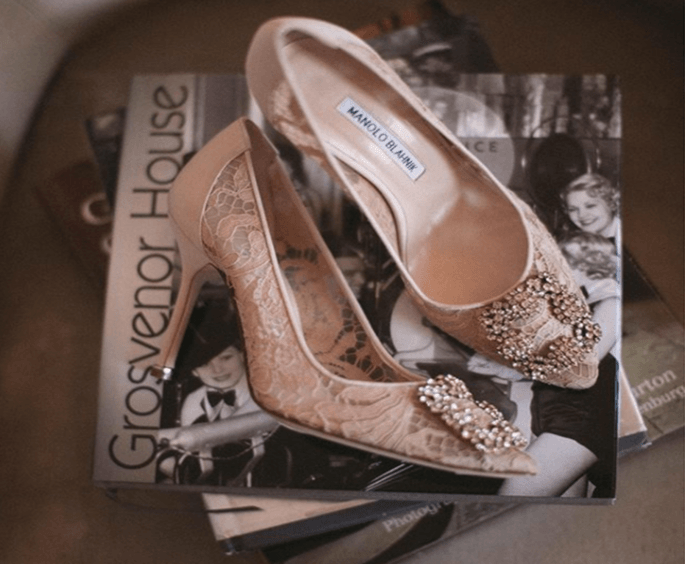 Many brides-to-be are overwhelmed with a choice of statement pieces to classic touches, from vintage style to glitzy glamour, sometimes it’s hard to choose from all the options. 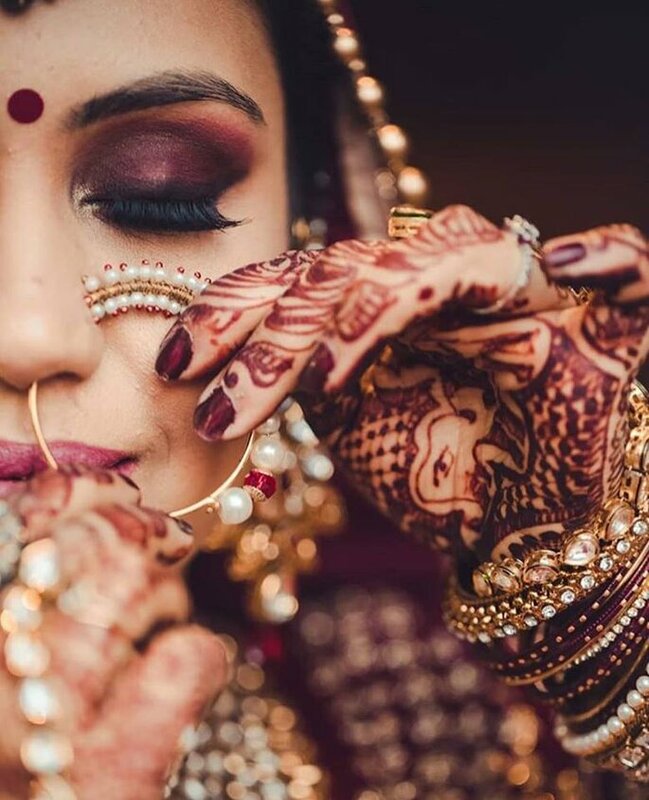 When it comes to wedding jewellery, many brides-to-be are overwhelmed with a choice of statement pieces to classic touches, from vintage style to glitzy glamor, sometimes it’s hard to choose from all the options! 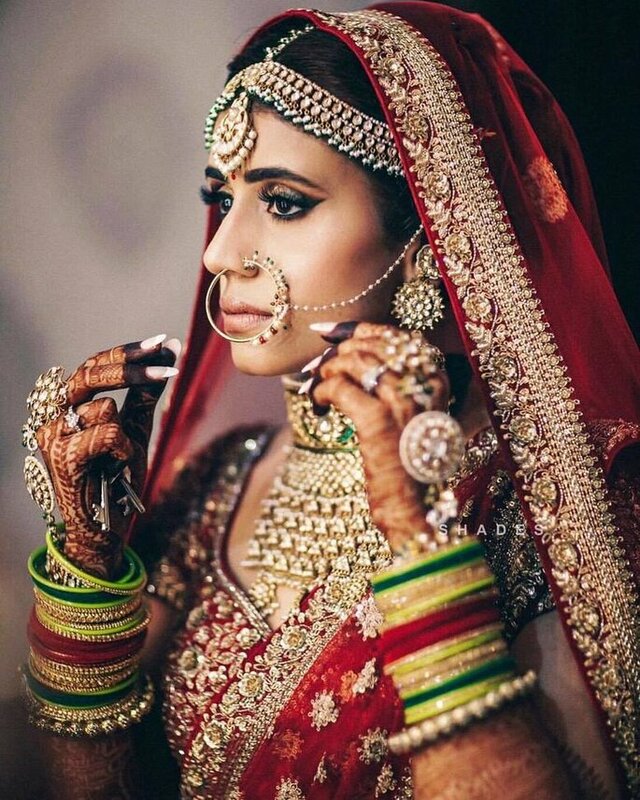 We always advise brides to base their wedding jewellery on the style of their dress, as this is a great way to keep your bridal look stylish and not muddled. You may not realize this, but some metals look better with particular dress colours. 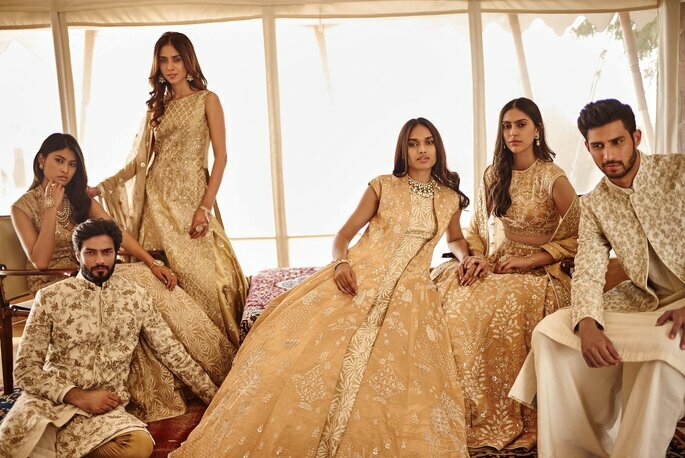 As a general rule, ivory is best paired with gold since it highlights the creamy tint of the fabric. Choose accents in silver or platinum or with pearl detailing gold may clash with brighter white hues. You can have your pick with a diamond this barely off-white color looks amazing with yellow gold, rose gold, silver or pearls. You don’t always need a veil, tiara, earrings, necklace and a sash. 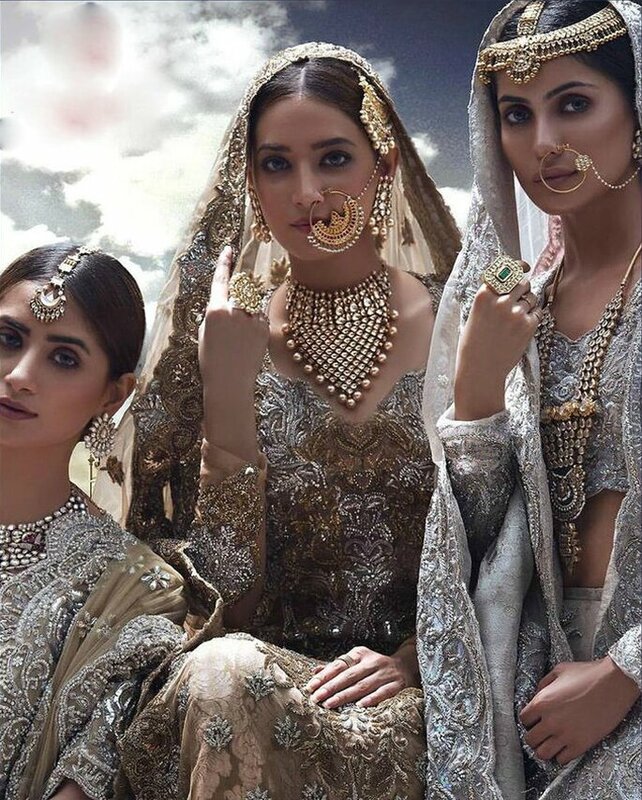 Accessories add a unique touch to your look, but even one too many can be over-the-top with an already-embellished lehenga. Before you start buying, take an inventory of your lehnga’s stand-out features and then base your choices around them. Aza Fashions will guide you how to look beautiful wth your jewelry and dress. If your dress has an ornate neckline, opt for a pair of drop earrings instead of a necklace. The veil is the iconic bridal accessory. From flirty birdcages and ornate mantillas to regal cathedral-length styles, there’s no shortage of options. 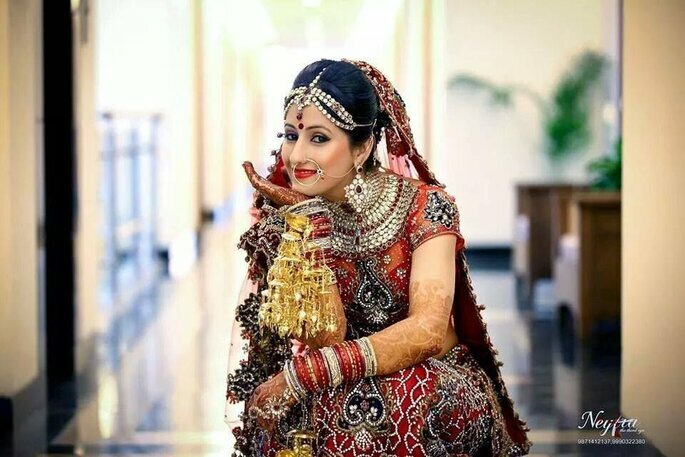 But there are a few things you should keep in mind as you narrow down the type of veil you plan to wear You’ll want your veil to match the exact shade of your lehenga. Colour blocking is better left to your day-to-day look. Be mindful when choosing a style. If your dress has a lot going on, stick with something simple that won’t steal the spotlight. Looking for a super-simple way to add a bit of personality to your wedding dress. Add a belt or sash. 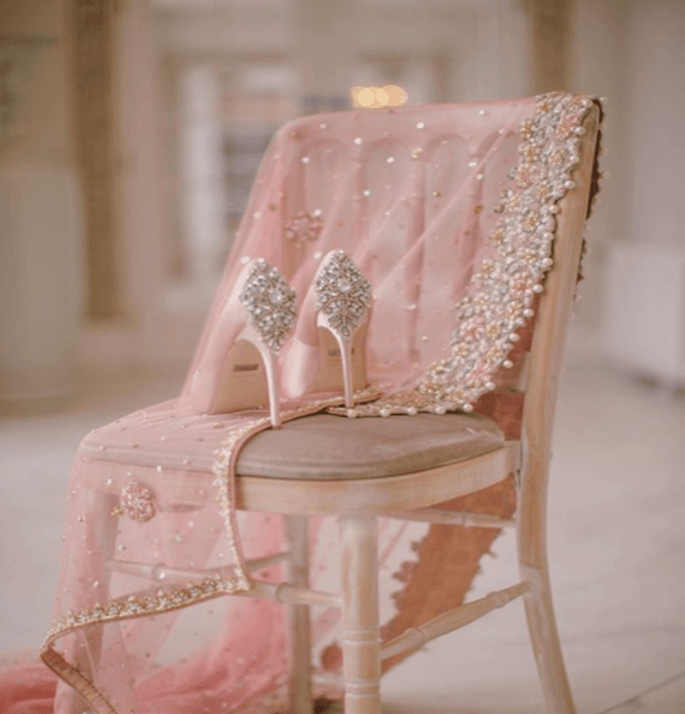 Just because your dress doesn’t come with one, doesn’t mean it won’t look great a fashionable fastener is an easy way to customize your lehenga and change its look without having to make expensive alterations. It’ll give your dress an instant upgrade. The key to choosing the right waist-cincher is to find one that works with your body type. No outfit is complete without the perfect pair of shoes and your wedding day look is no exception. Of course, you’ll want a killer pair to go with that gorgeous dress, but that doesn’t mean you have to compromise on comfort. Don’t forget. You’ll be standing for long periods of time, and you don’t want to be cringing in pain before you’ve even hit the dance floor. A stylish cover-up is a must if you’re getting married during the cooler months or at a house of worship that requires you to cover your shoulders. From boleros to capelets and fur stoles, the options are endless. The key is to choose one that strikes the perfect balance with your lehenga. Simple, understated styles can be paired with more embellished cover-ups, like a beaded capelet with scalloped edges or a bold sequined or feather bolero for added personality. For already ornate lehenga, try a more minimal accent to avoid looking too over-the-top. Although it’s a special day, don’t stray too far from your normal style. If you rarely wear jewels, there is no need to drown yourself in diamonds on your wedding day. The goal is to look your best, most beautiful version of yourself.